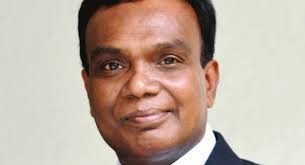 D Jagatheesa Pandian, additional chief secretary, industries, has been chosen by Gujarat government to take over as new state chief secretary, setting aside the claim of No 2 in the bureaucracy, Sudip Kumar Nanda. Belonging to the 1981 IAS batch, Pandian will take over as chief secretary on November 1, 2014. Officials said, Nanda’s Congress past played a major role for dropping him. Currently additional chief secretary, home, Nanda has been sent to head the Gujarat State Fertilizers Corporation (GSFC), a state public sector undertaking (PSU) in Vadodara. More recently, during Navratri, Nanda overturned Vishwa Hindu Parishad move not to allow Muslims to enter garba venues. He barred use of identity cards to take part in garbas. Belonging to the 1981 batch, Pandian, a “devout” Roman Catholic, and known to be close to Prime Minister Narendra Modi, was instrumental, as managing-director of the Gujarat State Petroleum Corporation (GSPC), in turning the state PSU into an important national player in oil and gas exploration. Modi as Gujarat chief minister gained a major political milestone in 2005, when Pandian helped him declare that GSPC had found 20 trillion cubic feet (tcf) of gas in the KG Basin off Andhra Pradesh coast, “highest ever” in India. It is quite another thing that later the claim was found to be totally hyped. Another of Pandian’s ambitious venture was of turning GSPC into an international player by taking oil and gas blocks in Egypt, Australia, Yemen and Indonesia. However, his biggest venture – to go in for oil and gas exploration in Egypt – was abandoned recently, with huge losses to the tune of 300 million dollars to the PSU. Formerly with the World Bank in Washington, Pandian, first as GSPC chief and later as head of the state energy and chemicals department, played a crucial role in propagating Modi in the US. He frequently visited the US to convince policy makers and corporate about the need to look towards Gujarat as the main investment destination. Nanda’s claim to be chief secretary was rejected twice – instead of elevating him on the top post, the Gujarat government extended the term of outgoing chief secretary Varesh Sinha first in May and then in July, making many a babu ask why he was being asked to “suffer” like this. It is believed, Modi’s Man Friday in the chief minister’s office – K Kailashnathan – played the main role in ensuring that Pandian is preferred over Nanda. Officials site not only his Youth Congress days in 1970s as the reason for not allowing him to be Gujarat chief secretary; they say, he continued to remain “close to Congress leaders” in Delhi till the UPA was thrown out of power in May this year. As head of the industries department, Pandian is the key person looking after all the preparations for the Vibrant Gujarat global investors’ summit, to take place on January 11-12, 2015. Proactive and sharp, he is known to get along well with politicians of all hues – whether of the BJP or the Congress. Pandian will retire in May 2015, after which, it is believed, Hasmukh Adhia, additional chief secretary, finance, will become the next chief secretary. Former principal secretary in the chief minister’s office under Modi, Adhia retires in November 2018. Adhia was of the chief architects of Modi’s karmayogi maha-abhiyan – an effort to “educate” babus in RSS style workshops. Will he check all the illegal work and constructions going on in Vadodara. Even illegal constructions on All India Radio Security fencing wall from 1999 causing Security lapses of AIR building any one may sobatage AIR Vadodara Building.